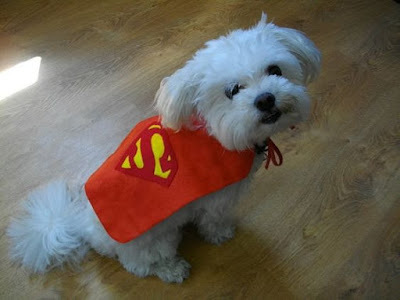 Halloween is just a few days away, and I don't have my dogs' costumes sorted out yet! Jake and Coral are not fans of costumes, silly hats or cute bandannas. Occasionally I have been able to tie a festive scarf around Jake's neck for a few minutes - just long enough to snap a few pictures. Coral, meanwhile, was very unimpressed with her birthday girl bandanna when she turned the big 3 back in August! 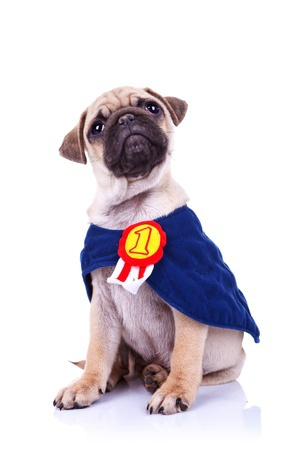 With that in mind, I decided not to spend money on costumes for my dogs this year and went searching for some inspiration for cute, simple and easy-to-wear costumes for dogs. 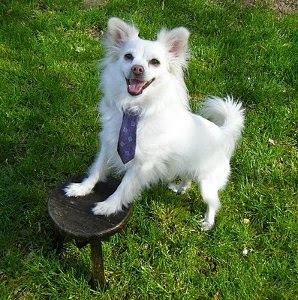 If your pup will tolerate something around his neck, this "Business Man" tie looks fun and easy. 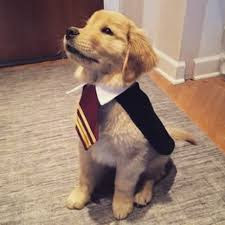 I am loving this Harry Potter scarf and cape costume! Superhero capes can be made quite easily by attaching some ties to a piece of fabric. Hot glue a few embellishments to the cape, and presto, you've got a costume! 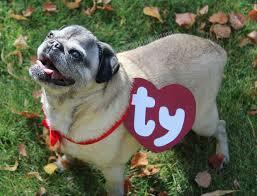 Look how easily your dog or cat could be a ty beanie baby! 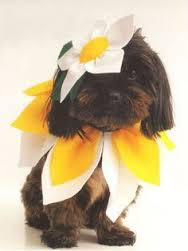 Your pretty girl would look adorable in this flower costume (my dogs would never wear this hat, though). I would simply hot glue petal shaped felt cut outs to a ribbon to make a flower collar. With a bit of luck, I'll be able to get a couple of pictures of Jake and Coral in their costumes over the weekend. 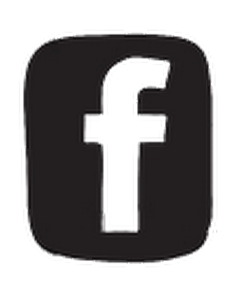 Look for them on PetBling.ca's facebook and Instagram pages!